The dispensary is now finished and will be able to serve both the school community of Rondo Junior Seminary and St Cyprian’s Theological College and also the local village population. The opening ceremony will take place on August 26th – the cow to be eaten in celebration is on order! We have been contacted by Dr Jaap Hardeman, one of the Dutch doctors who worked in Masasi in the 60’s and 70’s, with information on the proposed scheme to build a new Dispensary at the Rondo. Very detailed plans have been drawn up by the Dutch doctors, and these show that they are hoping to construct a very impressive and well-designed building. They have budgeted for the cost of the installation of electricity, water storage and plumbing and some internal storage and have also taken into account the labour, technical support and transportation costs involved. The total cost of construction is 98,868,553.00 Tz shillings (approximately Â£40,000) and Dr Hardeman tells us that the estimated cost is much higher than the Dutch doctors had expected and four times higher than the projected cost in 2009. One also has to bear in mind that on top of this it will be necessary to provide all the essential medical equipment and supplies and also to provide staffing. The Dutch doctors are liaising with both Father Stewart Kasembe and Father Emmanuel Chilumba and are very hopeful that they will be able to go ahead with their scheme. They have already transferred â‚¬5,000 to get the project underway and they have another â‚¬20,000 available but approximately â‚¬20,000 (nearly Â£21,000) is still required. There is no doubt that a new Dispensary is desperately needed at the Rondo. We understand that at present the nearest medical facilities to the College are a small dispensary 7 km away at Mtene, a health centre 22 km away at Chipondo, and hospital facilities, run by the Roman Catholic Church, at Nyangao, which is 45 km from the College, on the main road from Masasi to Mtwara. 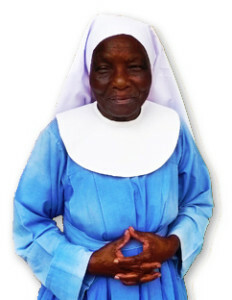 It is estimated that nearly 8000 people are dependent on the health services provided at St Cyprian’s â€“ this includes not only the staff and students at St Cyprian’s and the Junior Seminary, but also the people in the neighbouring villages and those who farm their shambas in the countryside around. All these people put their trust in the services that are provided by the Church, knowing that they will receive not only treatment, but also care, hope and love. The Friends of Masasi & Newala is not able, at the present time, to contribute towards the building cost of the new Dispensary, but it is hoped that funding via Action Medeor will be provided, once the Dispensary is “up and running”. If anyone wishes to make a donation towards the cost of building the new dispensary, they are very welcome to make donations, which can be Gift Aided, via the Friends and the funds will then be passed on to the Dutch doctors for them to use as they see fit. 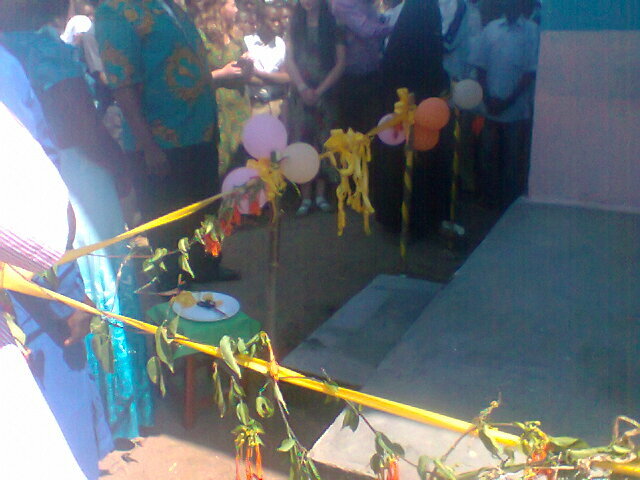 • Mtwara has completed the digging of a well in readiness to commence the building works of the Hostel and Nursery school. 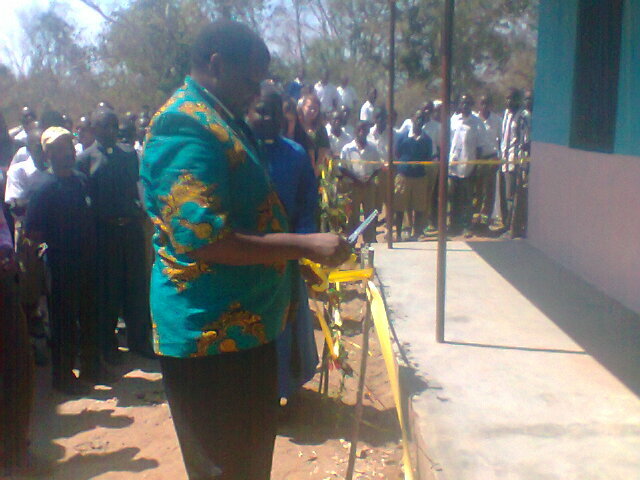 • In October 2011 Mtwara completed the office construction for the local Priest in charge, and a bookshop. 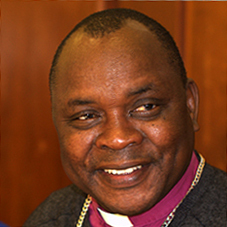 • In July 2011 the Government returned to the Diocese buildings it had nationalized in Tandahimba in the 1980’s period. 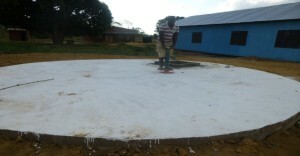 • 25 business sheds were completed at the Newala Diocese Headquarters in September 2011. • A seminar on AIDS awareness was held from 17 October to 22 October with 126 leaders in attendance. • Election of UMAKI (Mother’s union) Diocesan office bearers was held on 4 November 2011. • We have constructed an underground water catchment tank to collect rain water from gutters installed around the House of Bishop. Completion was in September 2011. • Vehicle no.T228 BEN is now fully operational after rehabilitation and repairs since September 2011. It is now being utilized to meet day to day Diocesan matters and activities. • Preparations were commenced for the construction of the Proposed New Cathedral now underway since 1st May 2011. Three lorry loads of building stones have been delivered and we are looking into more materials being available – funds permitting. • The new Church of Nanyamba was opened in the surburbs of Tandahimba. • Rehabilitation of Lulindi Health Centre is in its final stages and becomes operational in January 2012. • Distribution of £250 donation from Minchinhampton @ TSh. 47,700/= to 9 widows (wife of the Late Bishop, widows of 8 Priests) and 4 retired Padres. More information to be available later with photos sessions of the recipients being handed their share. • There has been Confirmation of 290 Youths in the preceding period. o St Mark’s Theological College, Dar es Salaam – 9 students. o In total there are 12 students under sponsorship and assistance is greatly appreciated and valued. • 26 Muslims converted to Christianity and were Baptised. • Total Baptisms so far this year in the Diocese is 680 persons. • 30 December 2011 heralds the Ordination of six new Deacons. Dear our beloved friends and partners. The Community of St Mary taking this opportunity to greet you in the Name of our Lord and Saviour, Jesus Christ. We celebrated the Birth of the Blessed Virgin Mary, mother of Jesus on September 8th, our Community Festival. It is through Mary that our Saviour was able to come into the world. Together we sing to the Lord “come let us sing to the Lord, let us shout for joy to the rock of our salvation, let us come before his presence with thanksgiving, and raise a loud shout to him with song.” At this festival we pray that just as God gave Mary the special grace of being Mother of our Lord so he will give us his grace to make us holy in body and soul and grace us with his humility and love. We hope that 2011 has been full of God’s blessings for you all. Our Community is most grateful for all the help from friends near and far who have supported us materially and financially. We thank God for these blessings. May God bless you for your generosity. We give thanks that our Community continues to expand and become stronger year after year although not large in number. This year four Candidates were admitted as postulants, and five postulants were clothed as Novices. 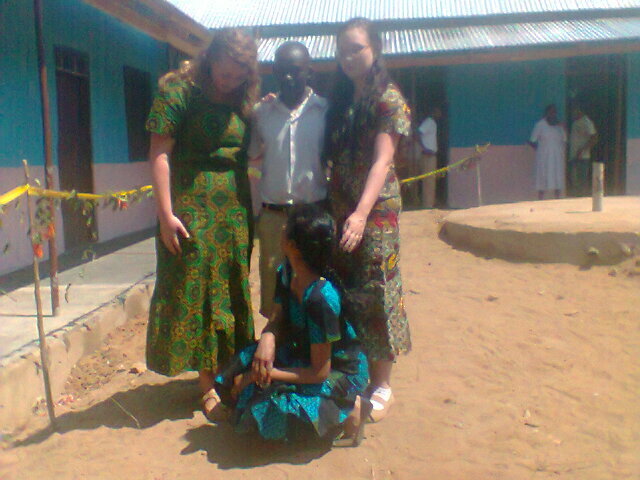 Four novices made their first vows and three Sisters took final vows in Njombe Sayuni on 5th November. We hope that two more Sisters will take final vows at Kilimani Masasi on 31st December. We could not arrange all the professions on the same day because of some Sisters being at school and the rainy season will make travel difficult soon. We are very grateful for your support, which has enabled solar power to be installed in the new building and chapel. Sayuni : Our church is almost finished! Only the furnishing remains. We already use it for celebrations at festivals when we have large congregations. We thank all the people who have so generously given to this building and pray that it will soon be possible to complete it. As the area is now so forested and is not as fertile as it was there is insufficient land for growing crops so we have found some land at Ibumi Ludewa District in Njombe Region. It is a long way from Njombe town but we have had good crops of maize, rice, groundnuts and tropical fruits such as oranges, pineapples, and bananas. Our house is called IBUMI and the Novice Mistress and novitiate have gone there and Sisters go to help with work when needed. We started work there in 2009 and the crops have been encouraging although all the work has to be done by hand. The dispensary at Sayuni is continuing well and there are plans to make it into a health centre. We have three trained nurse Sisters working there; Sisters Cecilia, Anjelina and Mariamu Upendo CMM. The tree nursery, which is growing seedlings for fir trees for timber and fruit, is doing well. Njombe : The house is near the cathedral. Some Sisters work in the Diocesan Health Centre, others make candles and wafers. We run a nursery school, which will become an English medium pre and primary school next year. We are very grateful for all the people who through their generosity have helped us to reach this stage. We are still short of teaching materials especially books, we also need five more classrooms to meet the demands of the project. Newala : The Newala nursery school was started by the Sisters themselves and has developed greatly. We are proud to see children who attended our nursery school and have continued to do well in primary school, secondary school and university. Some have trained as doctors and engineers. Parents now want to make an English medium school. We are slowly making changes to the buildings to meet the present need. We help orphans and hope to be able to help albinos. Newala was our first Mother House and from the big house there we continue to look after the Cathedral and to make wafers. We have a tent where Sisters and other people pray and many people are receiving help through their own or the Sisters’ prayers. One Sister works in the district hospital. 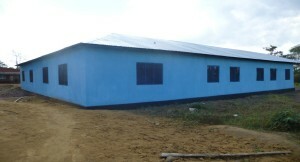 Mtwara House : One Sister is teaching in the Nursery School, which although not ours, we helped to build through the help of funding from Switzerland. The Sisters run their own projects such as keeping chickens and a cow and growing vegetables to earn money. One Sister travels daily by bus to the school in the town where she teaches. Mailisita: The Mother house is busy producing food for the community by growing crops and keeping cows, pigs, goats chickens and ducks. A lot of time is occupied in this way. Although the rains were not good this year we thank God that we have harvested a good amount of maize and some rice. De-husking these has taken a long time as we do all the work by hand. We really need some machinery to lessen the work so that we have time for other things. We had support fund from PWRDF (the Primates’ World Relief and Development Fund) which we are using to help the orphans. We have found a boy who is living with his blind grandmother and so has to work to support them both. He cannot attend school, which means that he has no hope for the future. Imagine how he must feel. There is also a small girl who is left with her grandfather and has to look after him. She too has problems. We have mentioned these children to our friends in the hope that we may get help for them. Land: We still have no solution to the problem of land in Masasi township. The Government plans for extending the building programme are worrying. Viisits: The visit to the UK of the three Sisters was very successful. 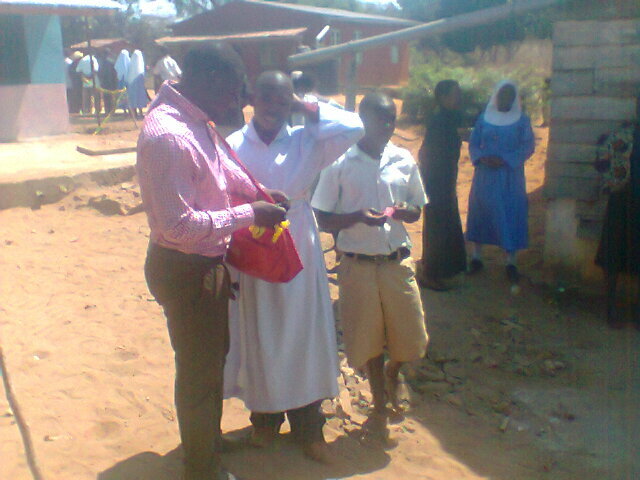 They learned more about different Religious Communities and took part in the Centenary Celebrations of CSP. Mother Superior and Sister Superior also visited Malawi in September for the profession of the CSM Sisters where they met Mother Miriam from America and the Bishop of Northern Malawi. This was also a great success. Rondo: The Diocesan Seminary of Masasi Diocese is at Rondo where some of the Sisters are studying. At present seven Sisters are studying there. Two of them take their final Form IV exams this year. We hope that two Sisters will join form I next year. Mtandi: At Mtandi there are two Sisters one of whom works in the bookshop and the other in the Diocesan Office. We have tried to keep our account brief but that is not easy when so much is happening. We thank you once more for all your help.